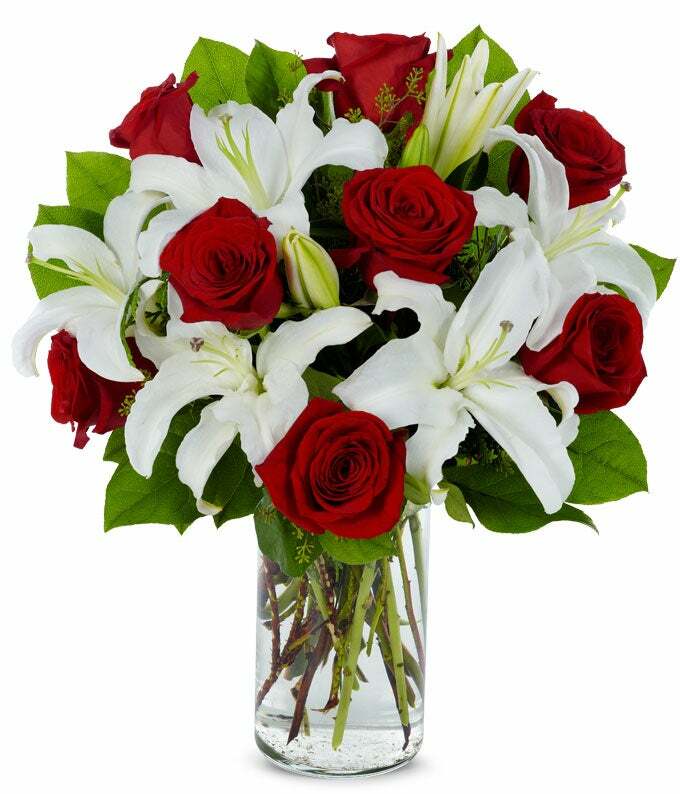 Timeless beauty abounds in this arrangement of white stargazer lilies and red roses set in a clear cylinder vase. It's a wonderfully thoughtful way to embrace special moments and communicate your heartfelt feelings. A mixed white and red floral arrangement is not only ideal for holidays, but also for romantic gifts including anniversaries. Measures 17"H by 13"L.